Backpacking Southeast Asia? 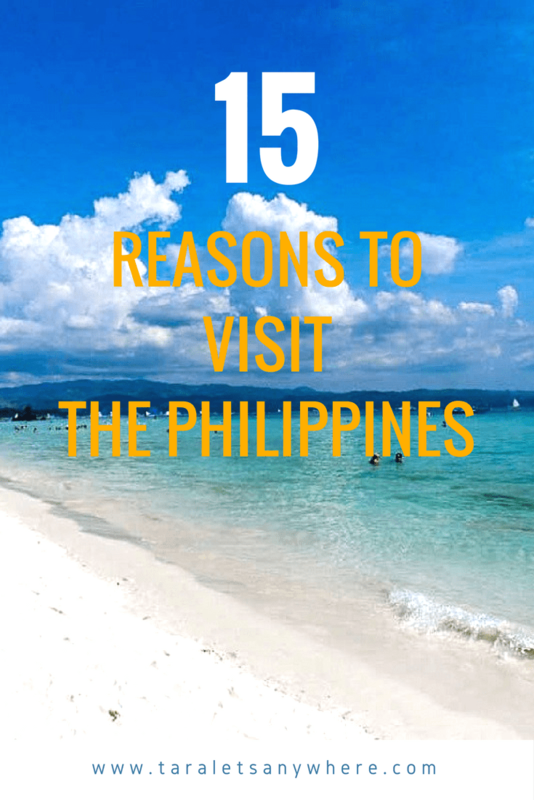 15 Reasons to Visit the Philippines! According to the tourism board “It’s more fun in the Philippines.” Well, I must say, I have to agree! The popularity of the Philippines is ever growing but I feel it is not quite yet solidly on the standard backpacker trail around SE Asia. That in one way is a good thing as it’s still holds an element of mystery, but at the same time, people are seriously missing out here! I love, love, LOVE the Philippines and although I was there for a month and visited 5 places when I was traveling, I know I hardly scratched the surface. So if you’re sitting on the fence, wondering whether you should go or not, here are 15 reasons to visit the Philippines! Filipino people are some of the kindest, most welcoming and fun people I have ever met. They will go out of their way to help with anything and are incredibly hospitable. So don’t be afraid to join in with a crowd! Boracay, voted as one of the best beaches in the world. Full to the brim with beautiful beaches, palm trees, white sand and crystal clear water, it really does feel like you’ve walked into a travel brochure. And then there’s the beautiful forests and coral reefs to think about too! With over 7,000 islands, each offering something completely different, there is always going to be a place to suit everyone. Diving, trekking, exploring, adrenaline pumping activities are all waiting for you here. And that’s not even mentioning the buzzing capital city, Manila! As the Philippines is made up of so many islands, the seafood here is out-of-this-world fresh and cooked in the most delicious ways. The more humble and traditional dishes such as Sisig, Adobo, and Tapa for breakfast are equally as scoffable and jam packed with flavor. 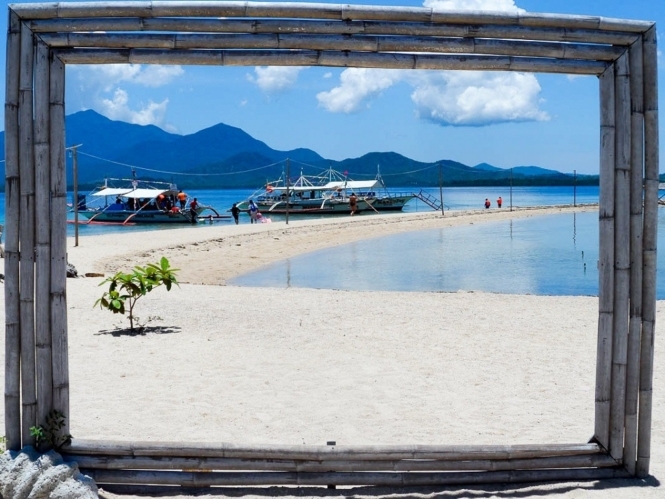 Manila has amazing nightlife, but what could be better than partying on the beach? Boracay is THE place to go to for this with tons of beachfront bars and DJs, especially if you’re there for a public holiday. The sand is as soft as icing sugar, the water is perfect for swimming and drinks are super cheap. Whether you’re in the city, hiking up a mountain or relaxing on a beach, the sunsets are stunning. The Philippines has such a diverse landscape that each and every one, no matter where you are, is a stunning show. Chocolate Hills, a set of thousand hills that turn brown during a particular season. Whilst there’s so much you could see and do here you could spend a lifetime exploring, it’s also great for seeing a lot within a short amount of time. There are some great budget airlines such as Cebu Pacific, Philippine Airlines and Jetstar to quickly hop from island to island, but if you want a more scenic route there are loads of boat routes to use too. Accommodation, food and drink are super affordable here costing about $40 a day. Although there are so many tours you could go on while you’re here, just spending time walking around and exploring is a great way to get a good feel of the Philippines and of course costs nothing! Tricycle is a common mode of transport in the Philippines. As with everywhere in Asia, the public transport options are so much fun. You can jump a brightly colored jeepney or hail a tricycle (tuk tuk) to get you from A to B at a very low cost and have an exhilarating journey in the process. The Philippines is home to a hugely diverse range of mammals, birds, insects, sea creatures and plants. Up in the trees you can find the incredibly cute tarsier which is one of the smallest primates in the world and underwater you have the chance to see the mammoth whale sharks that come through each year. The Philippines is a shopping haven. It has southeast Asia’s biggest mall and the 4th largest shopping mall in the world. From luxury to boutique to markets, you will find everything imaginable. I personally love Greenbelt, which has a market feel about it and it’s a great place to practice haggling. There are so many beautiful beaches in the Philippines from the amazing sand banks of Honda Bay to the white sand of Boracay (voted one of the best beaches in the world). You can chill in a hammock, get a massage or have a freshly cooked meal and cocktails right in paradise. The Puerto Princesa Subterranean River was chosen by hundreds of millions voters all over the world to become one of the New Natural Wonders. And let me tell you, visiting it is an incredible experience! Aside from this, there are so many other amazing natural formations that you won’t find anywhere else in the world such as the Chocolate Hills, Banaue rice terraces and the Hundred Islands National Park. It’s hard to know where to start! Some of the most popular and famous dive spots can be found here and with such a diverse underwater world to explore it’s the perfect place to take a trip. Coron, Apo Reef and Monad Shoal are well known amongst divers, as well as the famous thresher shark dive if you’re brave enough! No Brit could go without mentioning the weather, so here I go! Simply put, go in the dry season and you’re almost definitely going to have beautiful sunshine and long hot days. The perfect combination for exploring what this breath-taking country has to offer. If you aren’t convinced yet, here are beautiful photos of the Philippines that will take your breath away! 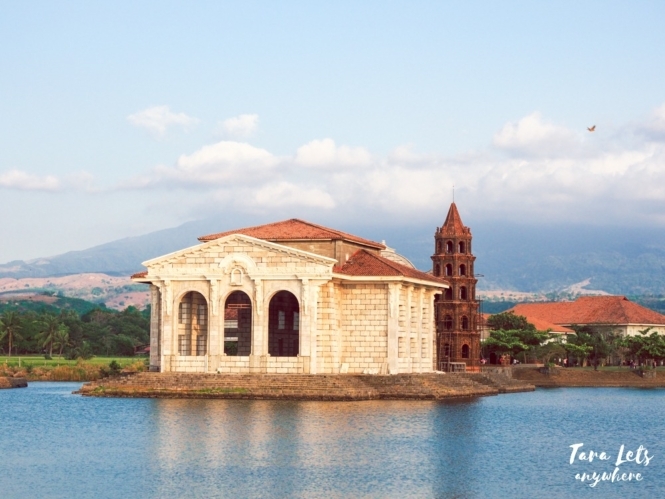 Can you add something to list wonderful list of reasons to visit the Philippines? P.S. Going to visit the Philippines soon? Laura is the British travel blogger behind the budget-friendly travel blog No Shoes Today. She has backpacked around the world, taken short breaks away and spent many days exploring places closer to home. She doesn’t believe that budget travel means making huge sacrifices and No Shoes Today has been created to show that everyone can travel this way to get the best out of destinations. You can follow Laura in Pinterest. Reason enough for me to plan a trip to Philippines soon. Particularly the beach, food, budget and so much to see in lesser time. I am really tempted.